Pete Tong’s Album of the Month! 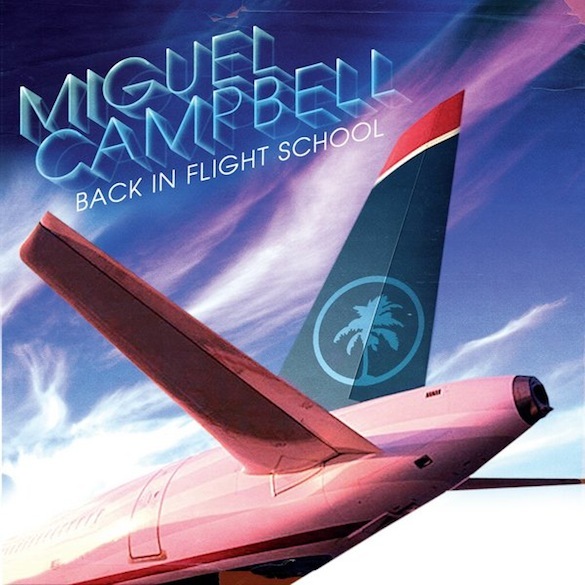 This was a big intro for a young guy from the north of England but one year on and he proves that was just the tip of the iceberg as his debut album, the superbly crafted and pop infused Back In Flight School reignites even more cross genre potential as Campbell explores where the highs of house meets the depths of soulful funk and disco nostalgia. Set to put Miguel back in the end of year charts for a second year running, Back In Flight School is a smooth and addictive ride that’s rich in harmonies and contagious bass-lines. This thoughtfully executed and consistent combination from the opening title track to the closing moments leaves you feeling warm inside. The aviation theme was inspired by the old ‘in Flight’ ethos of Funk, explains Miguel, along with the amount of time I have spent on airplanes over the last year. Despite his rapid rise to success Miguel has not forgotten his roots. Within his music you can feel the romanticism of French touch, cheekiness of P-Funk and the energy of 80s pop idols Michael Jackson culminating in a sound that is as appealing if you’re a man or woman. Campbell’s dextrous use of vocals add an extra dimension, from the vocoder Daft Punk style rapping of Rockin Beats to the warm feminine touch of Not That Kind Of Girl, an anthemic addition, his tracks are full bodied and set to lead a long shelf life. The filtered disco intros of the album are hypnotic and twinkle with disco nostalgia. Taking the best effect in the seductive Night Mode and equally charming Sky Mode, these final tracks relax in pace but are perhaps the strongest of the collection. As with all great producers, the seeds he plants early taste best as they bloom. My main goal was to create a musical tale for the listener to enjoy, with a start middle and end which would encompass the various styles of house and funk I have produced over the years and display the various types of instrumentation that I use. If there’s one word to sum up Miguel Campbell it’s authentic. He never compromised on his style, spending years practicing all day, every day to sculpt his own fresh take on a sound heavy in nostalgia. His patience paid off at WMC 2010 when Jamie Jones heard Something Special. 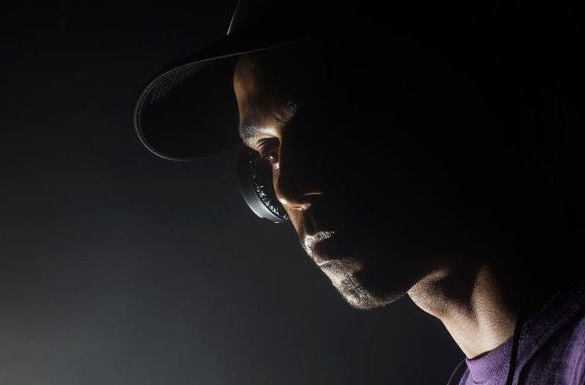 His release came in the year that Jones’ label Hot Creations were on top for championing a sound that Miguel was already a master of. Up to that point Miguel had been building his own Outcross Records out of his Leeds base. Together with Matt Hughes he also forms MAM who have released a series of endearing edits on the likes of Wolf Lamb’s Black edits label and FINA, the offshoot from 2020 Recordings. Hughes also produced the album that features vocals from Campbell’s friends and local talent Becks Lott, Naroe, Olly Smith, Alex Mills and Ninjitsu. 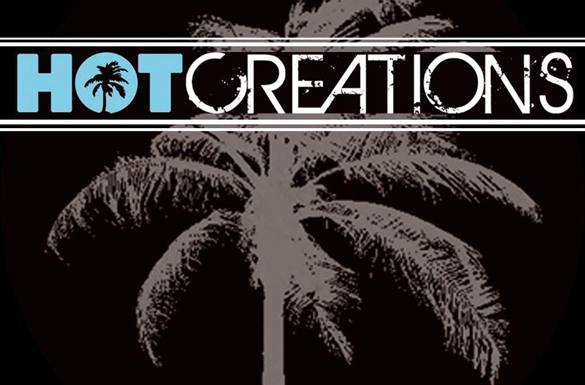 Label de jour Hot Creations are entering a new chapter as they launch the first in a line of albums on the imprint, with follow ups planned from Hot Natured and Lee Foss in 2013. Inspired by a family of record collectors, Miguel’s passion for music was ignited early. His earliest affairs were with hip-hop through Cypress Hill and Digital Underground and his earliest memory is a visiting a record shop with his parents to purchase a 7-inch from Musical Youth. My family have really supported my movement and I feel so proud to be able to fulfill my promise of paying them back for all they have done for me. My mum now realizes that the “BANG – Bang – BANG “ sound is actually a viable career path and not just some whacky dream that I have. I also find peace in the fact that my father can now look down on me and feel proud of where I have taken this music game we used to play. The soft and steady approach Miguel Campbell took is a clear message to the younger generation to stay true to what you believe in. His dedication and commitment have shaped him into a genuine role model from the future.